Help your city and share your knowledge of Omaha by volunteering at the Omaha Visitors Center. 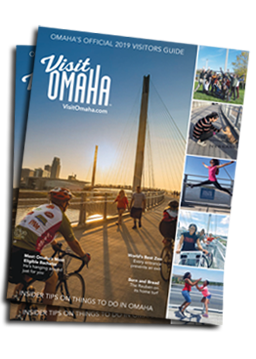 You’ll have the opportunity to meet visitors from all over the world and assist them in finding things to do, great places to eat and fun events to attend when in Omaha. Volunteers receive training, “field trips” to various locations, and special admission to Omaha attractions. Volunteering is also a great way to connect with other Omahans. Flexible weekday and weekend schedules are available. The Omaha Visitors Center is located at 1001 Farnam Street, and is open seven days a week (excluding most holidays). If you are interested in volunteering, please fill out the information below. Please mark the days and times you are available to volunteer.